Needless to say, earthing systems for lightning protection should be characterized by a small voltage drop across them when the lightning current is carried away to the ground. Voltages in the form of disturbances in the power supply system can be dangerous for people as well as for the system and computer devices. Because of considerable lightning current rise (to 100 kA/ms), the effectiveness of earthing systems is often determined by inductive voltage drops. For a wider earthing arrangement, one should also take under consideration the wave phenomenon in conductors[1,2]. National standards recommend a maximum value for earth resistance (10 W is a value found in many standards as for example in British Standard BS 6651  or the European one ) to insure that the maximum value is not exceeded and they add engineering rules to try to limit the impedance. So in general the problem of line tower earthing measurements must be solved. The impulse method of line tower earthing tests was put forward at Padova University  and later developed as well as brought into measurement practice at Technical University of Gdańsk [6,7,8,9]. The main aim of the presented work is to find measurement procedures of efficiency evaluation for lightning protection earthing systems. Especially analysis of an influence of an impulse current amplitude onto received results have been taken into consideration. 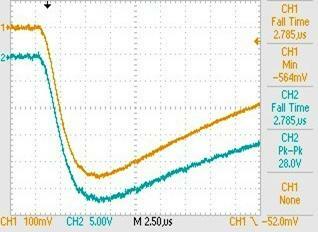 The investigations have been carried out at a current rise time of 4 ms and peak values from 1 to a few hundred amperes. G – conductivity of soil (1/r). Fig. 2 shows results of model simulations for the effective length of earthing as a function of ground resistivity for current impulses with front times of 1, 4 and 8 ms. The effective results given above have been calculated at the assumption that the resistivity of the ground surrounding the earthing is constant. One can see that the effective length of earthings is extremely low for well conductive grounds and objective investigations refer to soils of resistivity below 150 Wm. Fig. 4 shows calculation results of relative errors of tower earthing impedance Zm with usage of the formula (3). The error was determined as (Zx - Zm)/Zx versus Zx for the following assumptions: Zwc = 500 Ω, Zwt = 100 Ω  and Ze = 10 Ω. One can noticed, that for usually met in practice values of Zx up to 20 Ω, relative errors due to shunting influence of neighbouring towers can be estimated on a level of 5 %. Impulse tests of tower earthing have been performed using an impulse meter manufactured in Poland. The meter looks like a typical multimeter and generates impulse currents of about 1 A at a voltage of about 1000 V. Front times of the applied impulses are equal to 4 ms. Oscillograms presented in Fig. 1 have been recorded on real earthings using an impulse meter mentioned above and shown in Fig. 5. Theoretical calculations of accuracy of earthing impulse measurements performed in agreement to Fig. 3 and formula (3) are shown in Fig. 4. The obtained results have been verified by computer simulations. An usual line model has been applied to shape the wave impedances of lightning conductor Zwc and line tower Zwt . Parameters per length unit in the model have been calculated as resistance R, inductance L, capacity C and conductance G. The length of the modelled lightning conductor has been changed up to 300 m like transmission line spans are changed. A tower earthing Ze usually consists of both a tower foundation and an artificial earthing. It is in common practice, that the artificial earthing is realized as a mesh type one. For computer simulation purposes the tower earthing was arranged as a parallel connection of the artificial earthing denoted by simplified model with parameters R, L, C and the tower foundation denoted by a resistance Rf as it was arranged in Fig. 6. Computer simulations were carried out using MATLAB – SIMULINK software package. Currents and voltage drops across the earthing model were recorded in a circuit of a current impulse generator. Parameters of the modelled generator were similar to those of the impulse meter mentioned above. Fig.7 shows an influence of impulse front time on impulse resistance of tower earthings. A curve described as “without lightning wires” refers to a situation when lightning wires are disconnected from a tested tower on its top. The residual curves concern shunting the tested tower earthing by two neighbouring tower eartings with expressed span lengths. Fig. 8a depicts an influence of line span length on an diferrence between a measured value of a tower earthing resistance Zm and its realy value Zx at impulses of 1 μs front time. In Fig. 8b one can see similar relations obtained for 4 ms front time. The differences have been illustrated in Fig. 9 as a relative error ((Zx - Zm)/Zx ) and expressed in %. 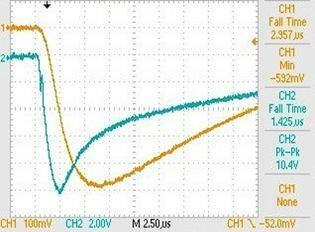 One can notice that for the 300 m span length an error due to neighbouring tower shunting decreases to about 3 % at the impulse of 1 μs. When 4 μs impulses are applied for simultions the obtained errors seem to be a bit higher and for 300 m span achieve a value of about 10 %. Taking into account an general accuracy of earthing measurement method such evaluated error can be provided with acceptance. 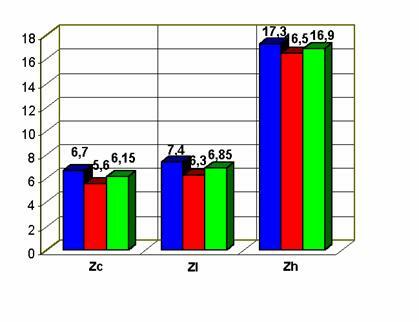 The difference between Zi and Zc can illustrate the real influence of neighbouring tower earthings on measurement results. In the presented example such percentage differences are equal to 6 % for real tests and 11 % for computer simulations, what coincides with calculations and simulations mentioned above. It is common practice in tower earthing measurements of overhead transmission lines equipped with lightning protection conductors, that the results obtained using a low frequency method with disconnected testing terminals of earthing are taken as reliable. Such a way seems to be not only expensive and time consuming, because the testing terminals have to be unbolted and the line switched off. However, the measurement procedure does not take the tower foundations into consideration. The results in Fig. 10 point that the impulse resistance of a tower foundation can be comparable with that of the artificial earthing. Isolating of lightning conductors at the top of towers during static tests is the only way to take into account the participation of tower foundations in carrying away of lightning current to earth. The impulse measurement method of tower earthing resistance allows us to eliminate the inconveniences and to take into consideration a parallel connections of tower foundations and artificial earthings. Zh – the terminal disconnected and the meter connected to the tested conductor above the terminal. In Fig. 11 one can see that impulse resistance results obtained at the connected terminals (histogram marked as Zc ) are about 10 % higher than these of the disconnected terminals (Zl ). Results described as Zh refer to a situation in which a tested vertical conductor is disconnected from the buried wire of earthing, for example, it may have been broken below the earth surface. An analysis of measurement results obtained without disconnection of conductors allows for fast evaluation of the tested protection system. When the resistance of any conductor is much higher (in the case of the analysed building about twice) than the others, it can prove a lack of metallic connection between the conductor and the buried earthing wire. The presented methodology of earthing resistance measurements using impulse currents permits to consider inductive drops caused by these currents, and so it makes possible the best evaluation of earthing systems for lightning protection purposes. Resistance tests of line tower earthings by means of clasic low frequency meters need disconnection of the tested earthing from the tower, so it is time consuming and the line must be switched off. Because a lightning current is carried away to earth through both the earthing of a line tower and through its foundation, earthing resistance testing should be performed with parallel connections of these elements. It has been stated, that the influence of neighbouring tower earthing reduces obtained results. 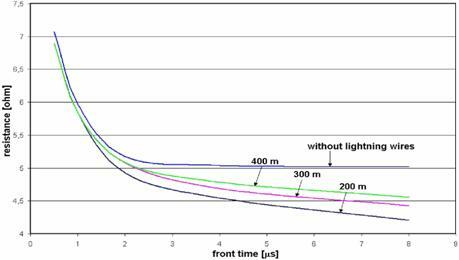 The reduction depends on the impulse front time as well as on the line span length and for analized conditions this has been evaluated within the range of 3 to about 10 %. 5. Galeazzi A., Marenesi R., Paolucci A. „Ohmmetre de terre en ondes de choc pour la determination des resistances de terre dans les lignes de transmission avec fil de garde”, Rapport CIGRE No. 329, 1954. A meter WG-407 has been designed for earthing resistance measurements at impulse time parameters similar to those met at real atmospheric discharges. The applied impulses achieve a value of about 1 A at a voltage of about 1000 V. Time parameters of the measurement impulses fulfil requirements of the following standards: PN-92/E-04060 and PN-EN 60060-2:2000. The meter has been designed for checking of all lightning protection earthings, especially in objects submitted to increased rigours and specially protections required by PN-89/E-05003/3 and PN-89/E-05003/4, for example petrol or gas stations. The meter is eapecialy useful for measurements of transmission line tower earthings. Resistance tests of line tower earthings by means of clasic low frequency meters need disconnection of the tested earthing from the tower, so it is time consuming and the line must be switched off. Use of impulse current makes tower earthing tests without disconnections and, what is more, they can be done on line in service. There can be applied different definitions of impulse resistance, as well as of operating temporary values, but only the definition using peak values of current and voltage drop has found practical realization. Such a way corresponds to the European Standard PN-IEC 61024-1, where a definition of an "earthing equivalent resistance" is explained as "a ratio of maximum values of voltage drop and current, whitch usually are not at the same time". Power supply: internal battery 4.8 V Cd-Ni, 1 Ah with discharge and charge control system. The battery is sufficient for about 1000 measurements. 1 - switch "Zasil" - the meter is turn on and off, on a LCD display appears an inscription: ATMOR WG407 and a few seconds later "Menu measure"
5 - LCD – a liquid crystal display, the display may be light up by pushing a button "+"
It is not allowed to connect the meter measurement sockeds to any voltage source. The WG 407 meter has not designed for short circuit loop resistance measurements! During the meter operation industrial safety rules should be applied. The meter is supplied from a battery of 4.8 V and it generates impulse currents of about 1 A at a voltage of about 1000 V. Front times of the applied impulses are equal to 4 ms. Pulse rate of the meter is equal to about 5 per second. If somebody touch an output socked of the meter an current amplitude is decreased by human body resistance (about 3 kW). Current impulses of such amplitude and such short duration are not dangerous for peoples, but they can be very unpleasent for somebody touching a measurement circuit. · Resistance of both current and potential probes should be less than 1000 W. In opposite situation when you push the button "Start" an inscription "ERROR! VOLTAGE" or "ERROR! CURRENT"is shown. A test can be carried out if probe resistance is reduced, for example biger stakes or a few stakes connected in parallel. · Push the button “Start”, the meter perform a mesurement circuit test (the inscription "testing circuit") and the display shows a result of a tested earthing - an inscription: "me? Menu ...W". In this state yuo can light up the display pushing the button "+". Every following pushing the button “Start” starts a mesurement procedure. If you see the inscriptiont "ERROR! VOLTAGE" or "ERROR! 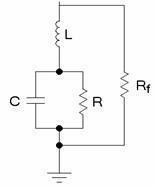 CURRENT" instead of an measurement result, measurement circuit resistance seems to be to high - see p. 2.2. · In order to write a measurement result shown on display you should push the button “Menu” , the inscription “write Me ... W” appears and when you push the buttonu “Start”, a result from the display is writen in the meter memory and an inscription "OK ... Me ...W” appears on the display. A number in the first part of the inscription shows a position of the writing in the meter memory. A result is writen at the lowest free position. When you push the button “Start” at the inscription "OK ... Me ...W”, a measurement procedure is started again without change of operation mode by usage of the button “Menu”. · In order to read writen in the memory results you should push the button “Menu” until an inscription “Menu read” appears and then push the button “Start”. An inscription “## ... Me ...W” on the display appears, where the first number denotes a position of a result shown on a second position. You can change the read position by pushing the buttons "+" or "-". · A storage capacity is able to read 126 results. In order to erase and clear the meter memory you should find an inscription “write Me” or “write Me ...W”, next push and keep the button “+”, then push and keep the button “-“, afterwards you should release the pushed button “+”, and the button “-“ must be kept until you see an inscrition “clear Me”, afterwards release the pushed button “-“. If you push the button “Start” at the inscrition “clear Me” all results writen in the meter memory are erased. 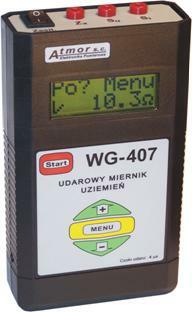 The meter WG-307 is powered by a 4.8 V Cd-Ni battery. A battery set of capacity 700 - 1000 mAh as usualy the meter is equipped seems to be sufficient to perform about 1500 measurements. A battery container there is under a cover on a rear panet of the meter. You can remove the cover pushing the cover in a direction shown by an arrow with inscripion „OPEN”. In order to check a battery charging ratio you should push the button „Menu” until an inscription „Bat. Menu Test” appears and then push the button „Start”. The meter starts to test the battery (an inscription „Test bat. >>>”) and finaly an inscription „Test bat. ...%” appears. The number denotes a level of battery charge. When a battery voltage becomes to low, the meter resets and on its display appears an inscriptiona "ATMOR WG 407". The meter is equipped with inner charging system and the battery can be charged without taking out the battery from a container. In order to start with battery charging procedure you should swich off the meter and a net power supply pin must be plug to the meter socked. The meter starts with a charging procedure automaticaly. At the begining the charging level of the battery is checked and on the display appears an inscription „Charger test bat”. If the battery level is higher than 30% of rated one, an inscription „Charger Ful” and the battery is not charged. In opposite situation a two stages charging process starts. First stage refers to battery discharging - an inscrition „ Charger discharg”. In the second stage appears an inscription „Charger charging” and the meter starts to charge battery. When you noticed an inscription „ Charger Full” it denotes that the charging process has been finished. Electrical circuit of the meter does not require maintenance. Accuracy check of the meter should be done accordingly to Producer’s Standard WT-06-01/407. 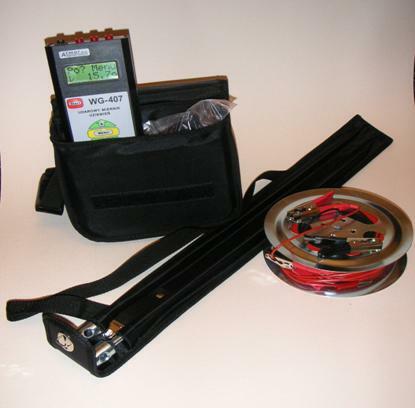 The meter is powered with NiCd accu pack of 4.8V. In emergency 4 AA alkali batteries can be used. Battery compartment is on the back of the meter. The confirmation of the accuracy is made in Okregowy Urząd Miar in Gdańsk (PL). The producer gives 1-year warranty. The warranty card is on the last page of the manual user.